Franklin Perez (lat) will begin the season on the disabled list with Double-A Erie. 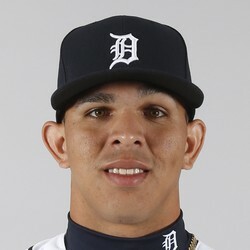 Perez was the marquee prospect sent to the Tigers in the Justin Verlander trade at the end of August. Perez has four pitches at his disposal, all of which he can throw for strikes. He has a relatively high floor as a mid-rotation-type starter and is just 20 years old for all of 2018.